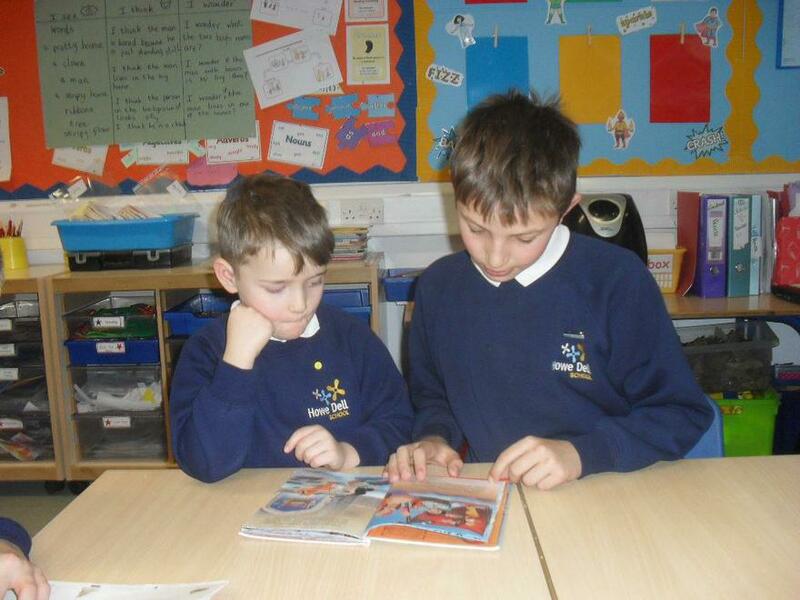 As well as a whole school focus on the text 'Weslandia' by Paul Fleischman, classes took part in a story swap session to celebrate World Book Day. 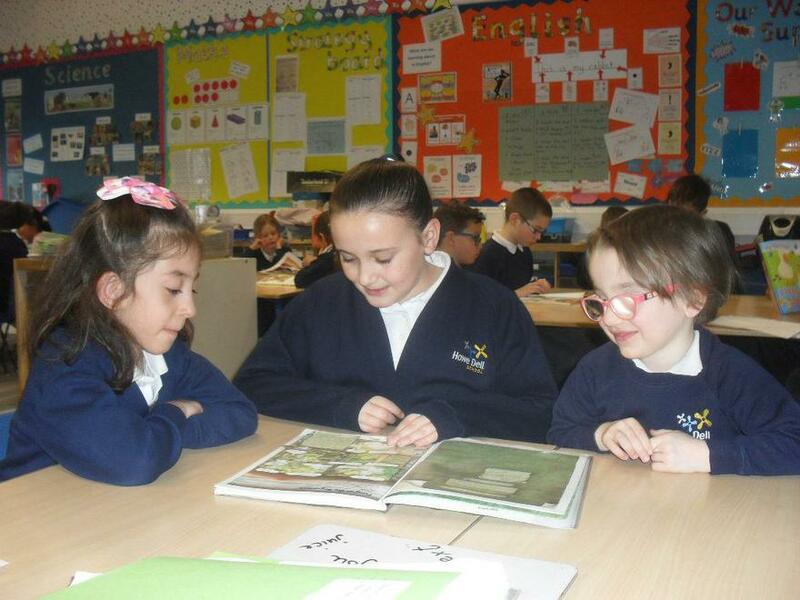 Classes were paired up so that the younger children enjoyed listening to a story read to them by children in Key Stage 2. Class teachers also chose their favourite story to read to the class. It was a very valuable and fun experience for all! Year One and Year Two took part in a poetry writing competition in the Autumn term. We were delighted to receive the amazing news that 103 children had their riddles selected for publication! The children were presented with their certificates in assembly and were thrilled when they received their copies of the book containing their poems. Christmas Santa letters resulted in an extra Children's Hour with Mrs Massey where Y5 pupils shared their written requests not just for themselves but also for their families and our School. At Howe Dell we aim to encourage a love of reading for everyone in our community. The new National Curriculum has a great emphasis on reading for pleasure. Over the summer holidays Miss Brind set staff a challenge; to create a reading area within their classrooms that is both exciting and inspirational. With true Howe Dell spirit everyone began whispering and excitedly planning their areas. On Friday 15th September, a panel of judges visited each classroom to judge and choose the best! Of course, as all staff at our school are passionate about teaching and reading this was not an easy task. However, under pressure, a winner was decided. Congratulations to Miss Mylrea and Mrs Jansen who won. As it was such a difficult decision Mrs Golder and Miss Bailie were voted runners up and Miss Adams and Mrs Galloway winners of KS1. The judges had a wonderful time looking in the classrooms and here are a few photos from their visit. On Thursday 24th September year five visited the University of Hertfordshire. With other schools, they were inspired during a workshop with the author, Steve Cole. He spoke to the children about how he thinks of ideas for writing and sang songs with them all. The children were given the opportunity to ask him questions and order a signed book. How many books by Steve Cole have you read? English and the New Curriculum - Parent Sessions. In March 2015 we delivered two sessions for parents on English and the New Curriculum. Evaluations from these sessions were extremely positive.